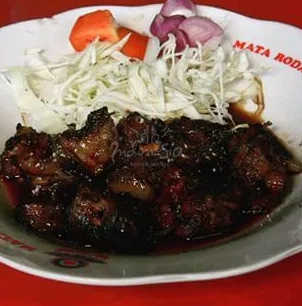 IndonesiaTravelVisit.com | Goat satay with ketchup sauce, onion and cabbage slices and thick, sweet-smelled rice are what have made Mbah Margo a famous name throughout Kulon Progo. 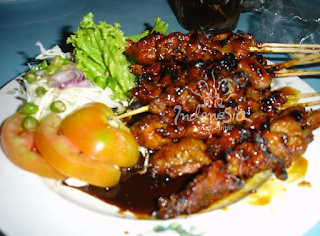 No wonder this goat satay has been the favorite of so many people. When IndonesiaTravelVisit.com arrived at Mbah Margo Goat Satay Restaurant that noon, several cars and motorcycles had also come and gone. Two staffs were busy slicing fresh goat meat into small cubes and sticking them with thin iron bars before grilling them on burning coals. The smell of grilled meat caught our appetites. Meanwhile, an old woman in Javanese traditional clothing was seen sitting on a chair in front of the restaurant and talking to a big man. 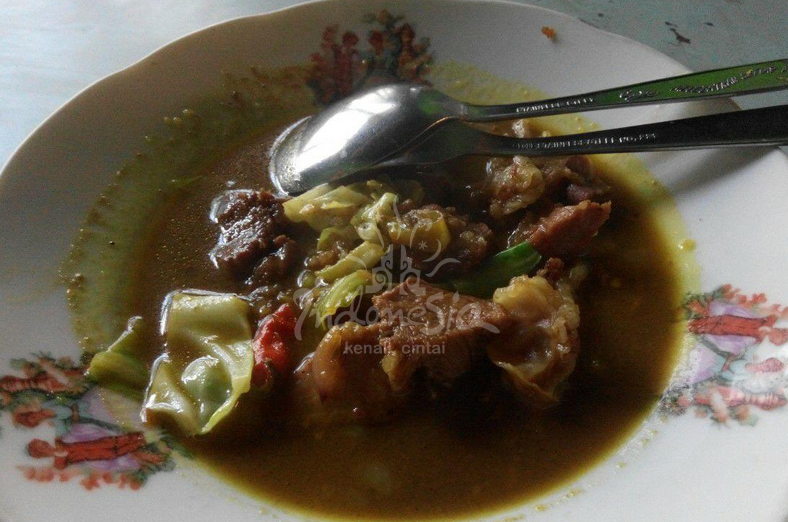 She was Mbah Margo, the owner of this very restaurant that has been famous throughout Kulon Progo. While waiting for the orders, IndonesiaTravelVisit.com had the opportunity of talking to Mbah Margo, who was sitting on her "throne". Mbah Margo has always been in the mood to share her stories with the customers while they were waiting for their orders. In her soft voice, she told us how, before she eventually gained success as today's, she had to walk across the village with her husband to sell satays to earn money to feed their five children. Years later, in 1965, the couple eventually made it to establish a satay restaurant in front of the house they had rented. Their business has since grown into what we know it today. The smell of grilled meats interrupted our conversation. A plate of goat satay and tongseng and a pan of soft rice were served on the table. Mbah Margo let IndonesiaTravelVisit.com enjoyed the foods her restaurant had served. Unlike other restaurants, the satays here are served without the sticks. The grilled meat cubes are undone from their sticks to make it easier to eat. Done with the satays, it's time to taste the tongseng. The seasoning offers a different taste even since the first bite. 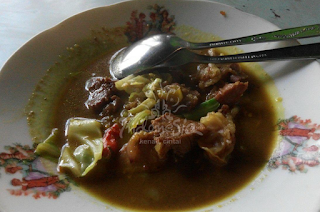 Delicious soft goat meat with thick, fresh gravy-it surely kicked in our mouths. The sweet and salty tastes are just so perfect that IndonesiaTravelVisit.com couldn't stop until the last bite. As noon has passed, our stomaches were full of satays and tongseng. A glass of warm lime became a perfect dessert. 0 Komentar untuk "MBAH MARGO GOAT SATAY , The Most Famous Satay in Kulon Progo"